One quick update: Amidst the rush in preparing for Nova Albion this weekend, I want to mention that the BBC America segment about steampunk had aired on Tuesday night as part of the BBC World News Hour. Readers may recall the Steampunk Stylin’ event I organized in connection with this; I worked with the lovely gent Andy Gallacher on this story to get him in touch with maker Dr. Grymm as well as letting him meet the awesome NYC steampunk community at The Way Station in Brooklyn. 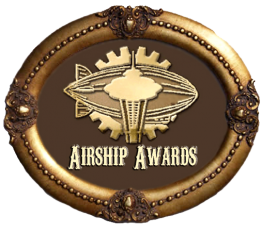 This story, I think, really captures the fun, beauty, and positive vibes that I’ve encountered during my years being involved in the steampunk community, especially with the crews I run with both in New York and in New England. I’m especially proud that many of these wonderful people had a chance to come together for a night and show BBC how awesome American steampunks can be.